The biggest news in tech this week has been Steve Jobs‘ announcement that he was resigning as CEO of Apple. Jobs’s run at Apple has been exceptional. As CEO, he took an also-ran tech company and turned it into the most valuable company in the world, introducing a lot of cool technology, along the way. Steve Jobs’s two greatest achievements weren’t new computers or gadgets, but revolutionizing how we create and consume media in ways that have ultimately changed the world: the computerization of media creation and the computerization of media consumption. 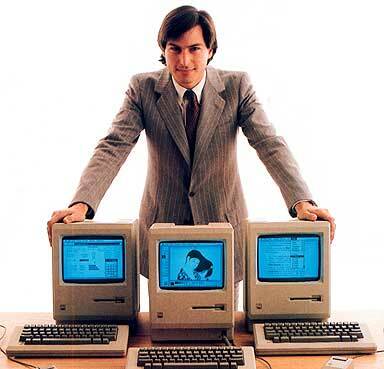 When the Apple Macintosh was introduced in 1984, it was a great idea, constrained by underpowered hardware. It came with MacWrite and MacPaint, but practical applications for the machine were hard to find. That changed in 1985, with the introduction of Aldus Pagemaker, which allowed what-you-see-is-what-you-get page layout, and Apple’s release of the LaserWriter printer. Instantly, the benefits of using a graphic user interface were made apparent. It’s difficult to understand, after so many years, how radically the Mac + Pagemaker + LaserWriter combination changed things. But the rise of desktop publishing revolutionized publishing. It wasn’t until a decade later, with the introduction of Windows 95, that the benefits of the ideas embodied in the original Macintosh went mainstream. In that intervening decade, though, the Mac had begun an inexorable process of decimating old approaches to media production. People realized that they could set type themselves, killing off typesetting businesses. Then people realized they could compose and output completed layouts themselves, killing off the ‘stripping’ business. Then people started doing their own image retouching and color work, killing off the color house business. And the destruction of traditional print production was just the beginning. While Apple stagnated during Job’s years away from the company, his return in 1995 signaled a new emphasis on creating media on the Mac. 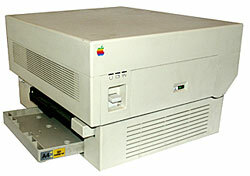 In 1999, Apple introduced iMovie and the iMac DV – a combination designed to bring digital video editing to mainstream consumers. And, in 2004, Apple introduced GarageBand. The combination turned every Mac sold into a platform for audio and video media creation, and established the platform as the de facto standard for digital media creation. While other platforms have clearly been important in the transition to digital content creation – Apple did more than any other company to mainstream desktop publishing, digital audio editing and digital video editing. This trend has radically democratized the way we create books, music, magazines, music videos and just about any type of media. Just as Apple, under Jobs, mainstreamed new media publishing, the company has relentlessly worked on mainstreaming digital media consumption. Maybe Jobs was uniquely capable at capitalizing on this trend, having previously led the pioneering digital animation company, Pixar. Jobs’ second reign at Apple has been defined by three media consumption devices: the iPod, the iPhone and the iPad. 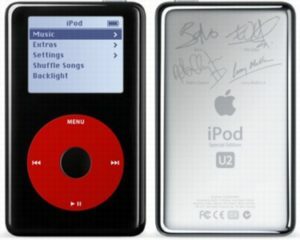 It’s easy to see the iPod, introduced in 2001, as a digital version of its predecessor, the Sony Walkman. And that’s exactly how most tech analysts viewed it – a way to carry your music around with you. But the iPod was such a quantum leap over the Walkman that it was really something different – the replacement for personal CD libraries – and the status quo for music and audio delivery. Jobs understood that the iPod was more than a better Walkman. So Apple introduced the iTunes store, which, for better or worse, made music stores irrelevant. And Apple mainstreamed podcasting, adding support for it to iTunes, the iPod and GarageBand. By the mid 90’s, anybody with a Mac could create music or audio shows and deliver it, completely digitally, to anyone, anywhere in the world. This was a radical change, but one that has been duplicated with digital photos and digital video. The iPhone is a phone, obviously, but when Jobs introduced the device, he emphasized that it had three main functions: phone, iPod and Internet. Two thirds of its features focused on media consumption. The iPad is the culmination of this trend. It’s a pure digital media device that becomes a newspaper, magazines, the radio and a television as you need it to. Jobs and Apple will be remembered for many things. But their biggest achievements have been democratizing media by mainstreaming digital media creation and digital media consumption.